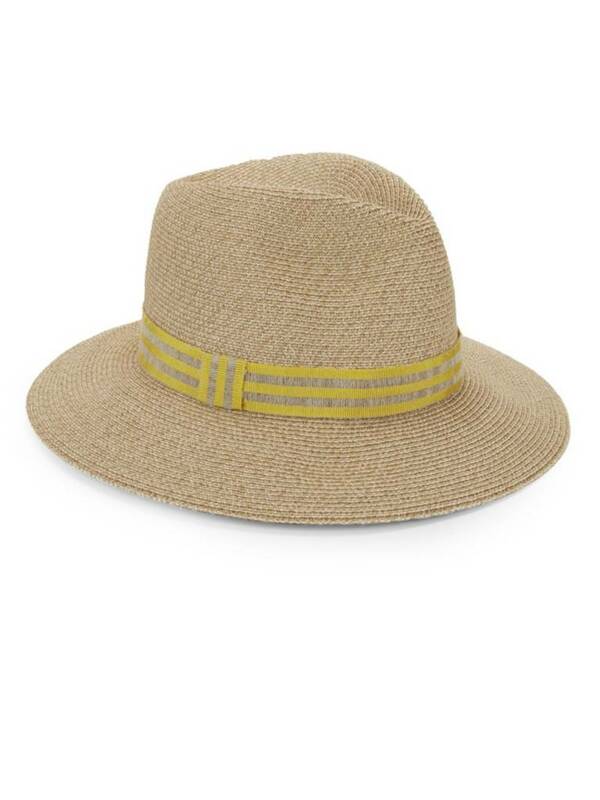 Eugenia Kim "Emmanuelle" fedora hat, made of natural straw. 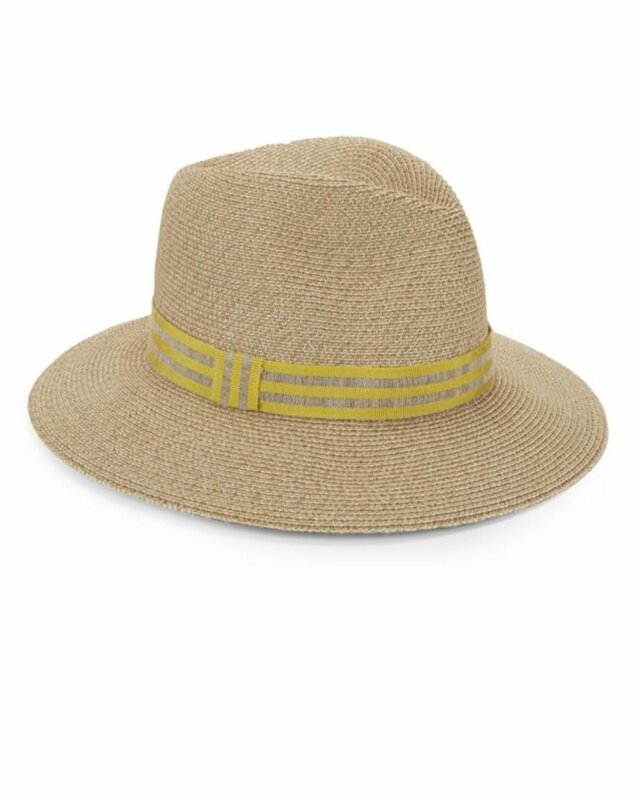 Yellow striped linen hat band. Features a flat, wide brim and pinched crown on top.